The effectiveness of your website comes down to the content on each page. If you have a marketing department that can work with our team to develop the strategy, we welcome the opportunity to work with you. If you do not have an internal team, then, no worries! That’s what we do ~ and we do it well! First we get an understanding of your voice, company culture and demographics. We learn about your successes, failures, and what changes you want to make. We discuss your use of current technology and preferences for upgrades. We take this information and create objectives to meet all of your goals. When a plan is not in place, it’s easy to justify spur of the moment decisions. This is ignoring strategy. Don’t let it happen. We have redesigned websites for clients who had YEARS of backlinks to articles and information. It’s easy to get so busy that you just take the simple route (in this case – it was throwing the information on the site by adding a quick-link.) The information that took time to research and write will be hard to find, and users will most likely never see it. Whether you are a start-up, or a company who has been around for 50 years, you have a voice. You have a company culture that is a reflection of its founders. It’s important that this is mirrored by the content on your website. More importantly, you have to consider the personalities of your own clients and prospects. How do they want to be “spoken to?” What is the best way to reach them on an emotional level? You need someone who can help you craft / refine your message. We offer an external perspective after getting to know you and what your clients want to hear. We write copy that is both engaging and informative. We believe that every page can (and should) have video that is relevant to the topic of each page. You can use video for product demonstrations, “how to’s,” staff introductions, or simply to entertain. We help our clients determine the best use of video and will write the script, shoot, edit and post the videos on their website, youtube and vimeo channels. Video helps users stay engaged, and search engines move sites with video to the top of search faster than sites without video. See some of our work here. Push Play to see the value of video! You need customers. Whether you’re a non-profit, e-commerce, or service provider, you want those who visit your site to take an action. This means, picking up the phone and calling you, filling out your contact form to obtain more information, downloading a whitepaper / report / case study, or making a purchase right from your website. Get more conversions with our strategic insight into what initiates consumers to make a move. We often have requests for custom icons, sliders and “hero” images. Our Creative Artist works one-on-one with our clients who want these, or a new logo. The right imagery is important. Photos and graphics can turn a white page with black text into an intriguing platform that captures the attention of users. The right images help to tell your story, and can be what makes you memorable. How the information is laid out on the page is as important as the info itself. We take great care in positioning the elements on each page. As we are developing the copy, we note where a “Call Out” (Important statistic, or Title) should go. 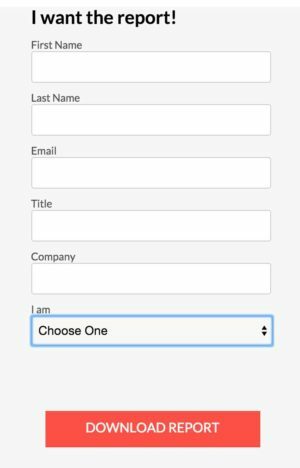 Before the design even starts, we have concluded where the “Call to Action” will be placed on the page, and which type of conversion form should accompany it. We also determine where the information should be separated using a “Band,” graphic or an image. We typically build on a WordPress CMS and incorporate plugins like Visual Composer and Ultimate Add Ons. These are user friendly and enables our clients to take control of their website once we go live. The placement of any element can be easily moved. While we apply due diligence in deciding the layout, we encourage our clients to test it out. It’s okay to move elements around to check the effectiveness of the layout. Some times moving a conversion form to the opposite side of the page – or changing the color of a band can make a difference. Original, quality, relevant content is required by search engines in order to compete for a respectful placement in search. We write content that tells our clients’ story, and THEN we optimize the content by replacing synonymous words with high-ranking key words. We don’t want to succumb to any impulse that would deviate from your brand / message – based on search results. Your message should be unique. Your content will reflect your brand, and will be supplemented with keywords that our reports deem valuable. We don’t compromise your story / value in order to index for key words. We masterfully incorporate keywords and terms without changing your carefully crafted message. We implement proper headers, titles, meta descriptions and alt tags. By doing so, and writing dynamic content, we’ve been successful in getting our clients to the first page (and 1st or 2nd position) quickly. We make recommendations of specific areas that our clients can easily update, and we build the website around that strategy.